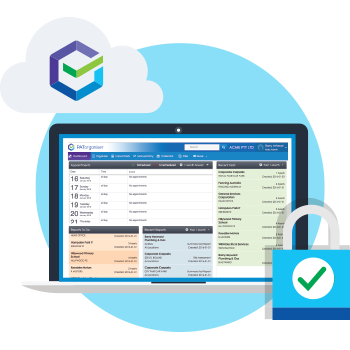 Driving profitability in your Test and Tag business is as simple as “getting in, getting out and getting paid” – and yet legacy software solutions make it almost impossible to do just that. 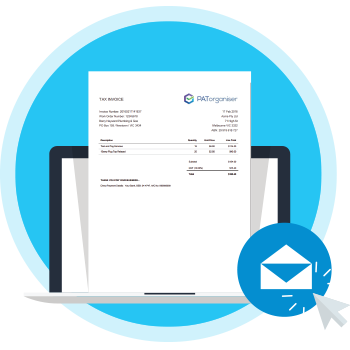 PATorganiser is revolutionary because it allows you to focus on your most dollar-productive activities, while minimising drudgery and busywork. 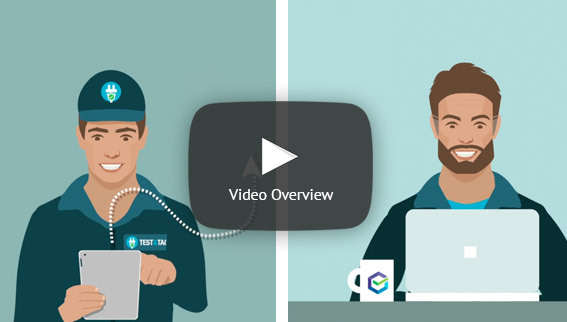 Users report positive results such as: being able to test more appliances per hour per technician… higher customer satisfaction and retention… lower admin costs… happier techs… and higher profitability. 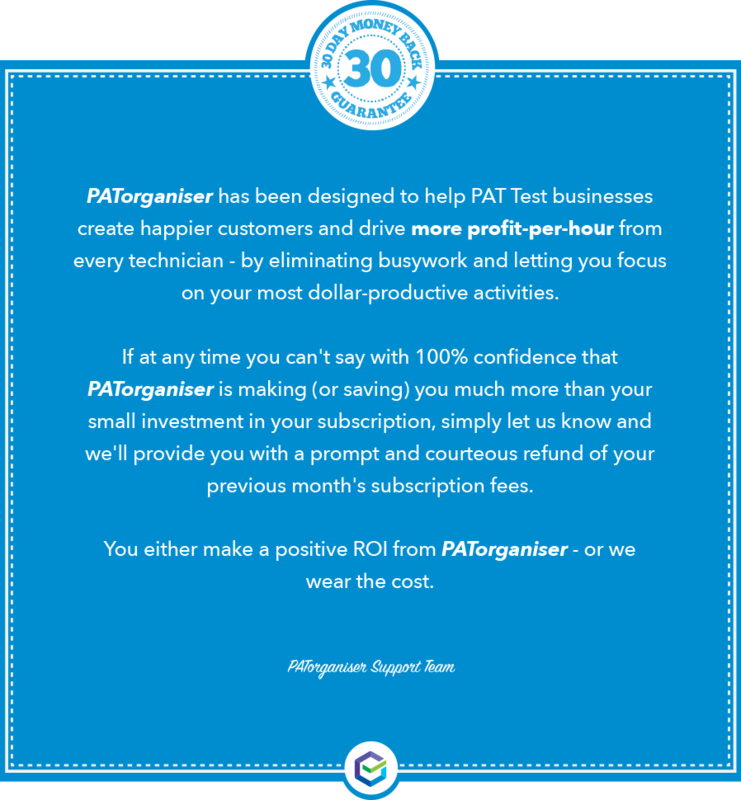 PATorganiser was built by a fellow Test and Tag business owner to solve the problems that we face in the industry every day. 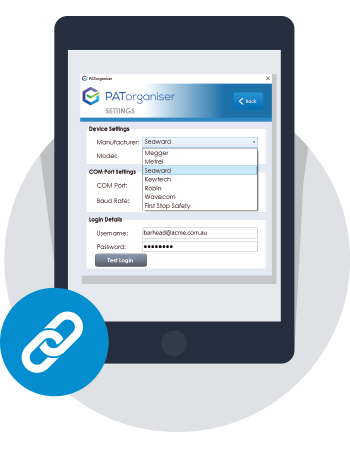 The first thing you’ll notice when you use PATorganiser is that you’ll no longer have to use one system for job reminders…. 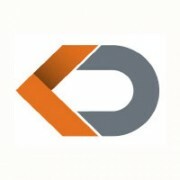 another for scheduling jobs… another for reporting… another for emailing… and yet another for invoicing. It’s all handled within PATorganiser at the click of a few buttons. 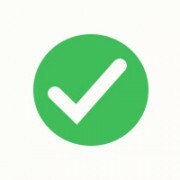 A conventional calendar isn’t specific enough for the Test and Tag industry. 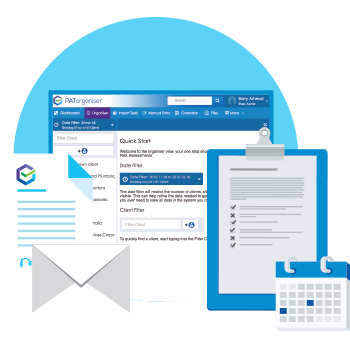 Jobs need to be scheduled differently depending on the customer, site or asset. But with PATorganiser, scheduling appointments is a breeze. 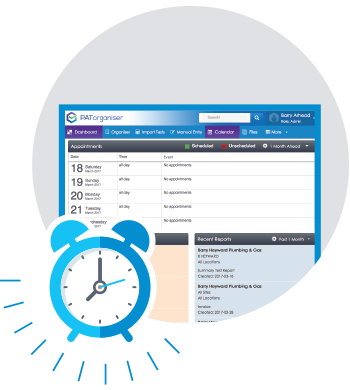 With our integrated calendar and smart reminder system, you spend less time scheduling and more time doing. 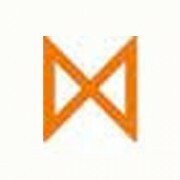 The main reminder of your visit is the documentation you leave behind. And if a client is ever audited or suffers a safety incident, you’ll be the one in the firing line if your documentation is not up to scratch. 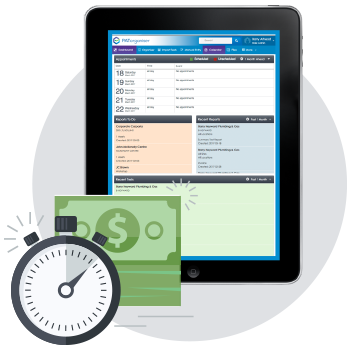 PATorganiser allows you to drive more profit-per-hour from every technician, by eliminating busywork and letting you focus on your most dollar-productive activities.